A musician from St. John's says she hopes the growing number of young Newfoundland and Labrador bands playing traditional music will boost the popularity of the genre. Charlotte-Anne Malischewski, 21, has played the violin for years, and is already a veteran on the folk music scene in the province. She recently released an EP album she recorded over the Christmas holidays. "I recorded [my EP] over winter break. I had two weeks at home and so I squeezed in as much family time as I could, and as much studio time as well, and managed to put together four tracks," she said. Malischewski grew up in the Georgestown area of St. John's, across the street from a music teacher. She said she would see other kids going for lessons with their violins, and decided that she wanted to learn, too. 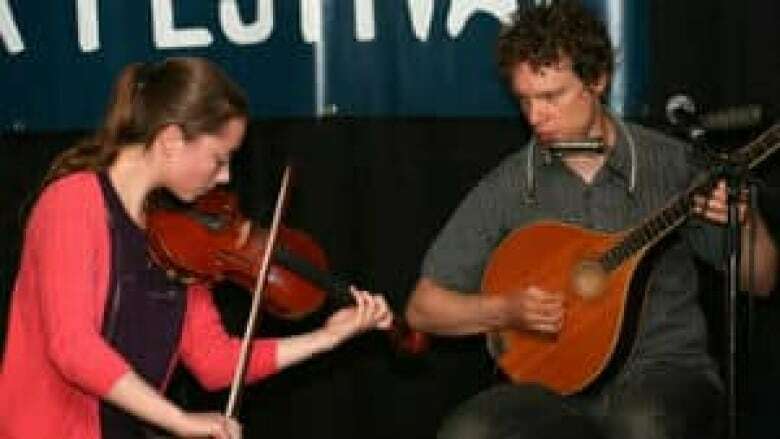 According to Malischewski, the growing number of young bands who play traditional Newfoundland music has helped generate more interest in the genre among other young people. "There's lots of young people who really want to play trad [traditional] music, and for them that's cool music," she said. "It's not always that way when you're in junior high or in high school so to find other people who share that passion with you, it's really exciting." Malischewski is a full-time law student at McGill University in Montreal, founder of a magazine at her school, and is currently in Calcutta, India on an internship. She was featured this weekend on Liner Notes on CBC Radio One's Weekend AM.